Nicholas Whyte is senior director of global solutions in the Brussels office of APCO Worldwide and a visiting professor at the Faculty of Social Sciences at Ulster University. Political Brussels woke up on Monday morning (9 January) – the first day back at work in 2017 for many people – to the shock news that the Italian MEPs of the populist Five Star Movement (5 Star) are likely to abandon their current parliamentary allies, which include UKIP, and to join the Liberal ALDE group in the European Parliament. 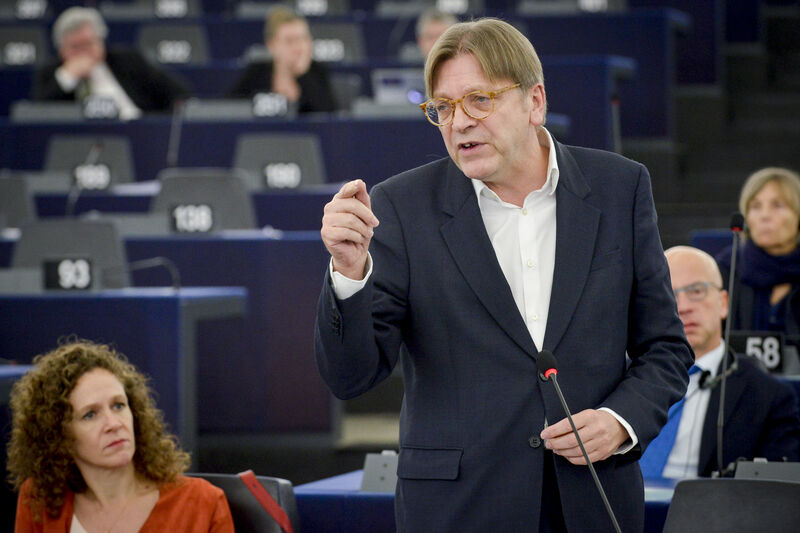 Many wondered how Liberal group leader Guy Verhofstadt, one of the most outspoken federalists in European politics, who had excoriated 5 Star leader Beppe Grillo in an interview in 2014, could possibly ally with a party whose leadership has opposed Italy’s membership of the euro. But it is less strange than it may at first appear. The 17 5 Star MEPs have established themselves as serious operators in the parliamentary system – unlike their current UKIP allies, who openly deride the institution to which they have been elected. The fact that the UK is likely to leave the EU in 2019 means that the EFDD group, which currently depends on UKIP and 5 Star for its critical mass, has little future. Grillo himself does not want Italy to leave the EU; his plans for a long-term future in European politics, therefore, require new allies. Looking at the other side of the equation, ALDE’s federalism, as opposed to Verhofstadt’s personal position, is often overstated. Like all groups in the European Parliament, it is a little blurry at the edges. New members such as the Czech ANO 2011 are notably less Euro-enthusiastic than the old Liberal core. And even within that core, the Danes and Dutch have moved to a more critical position of late. So the distance between 5 Star and ALDE in practice in the European Parliament is much smaller than the apparent distance between their leaders. ALDE currently has 68 seats to the Conservative ECR’s 74. The arrival of 17 new MEPs will make the ALDE group clearly the third force in the European Parliament. This, in turn, will make a difference in internal appointments, which are based on the size of the group. They will presumably also swell Verhofstadt’s numbers in the short term as he contests the presidency of the European Parliament (though the two Italian front-runners, Gianni Pittella of the centre-left S&D and Antonio Tajani of the right wing EPP, start with significant advantages). There is already some loud internal grumbling about Verhofstadt’s leadership within ALDE, and not only about the new Italian allies. But the fact that he has appointed well-respected Dutch and French MEPs Sophie in’t Veld and Marielle de Sarnez to manage the relationship with the Five Star Movement will go some way to reassuring the sceptics. The wider political lesson is that populist political forces have more than one fate, and one of those possible fates is to go mainstream and assimilate into the political establishment. If it survives in the long term, 5 Star will always be more edgy than most of its stablemates, whichever political group it is in. But the party’s alliance with the Liberals may go some way to taming its reputation. Thank god we are leaving the circus.